Trudy Mackay and students at the Clemson Center for Human Genetics. With an internationally prominent geneticist at the helm, the Clemson Center for Human Genetics opened its state-of-the-art facility in August in Self Regional Hall on the campus of the Greenwood Genetic Center in Greenwood, S.C.
Center director Trudy Mackay, Self Family Endowed Chair in Human Genetics and professor of genetics and biochemistry, is recognized as one of the world’s leading authorities on the genetics of complex traits. Mackay, recipient of Trinity College’s 2018 Dawson Prize in Genetics, is joined at the center by Robert Anholt, Provost’s Distinguished Professor of Genetics and Biochemistry and director of faculty excellence initiatives in the College of Science. Both came to Clemson from North Carolina State University. The naming of Self Regional Hall recognizes the ongoing support from Self Regional Healthcare, which has contributed $5.6 million to the facility. In addition, the $4 million endowed chair held by Mackay was funded equally by the Self Family Foundation and the state of South Carolina. South Carolina is one of seven states projected to have a shortage of registered nurses by 2030, according to a 2017 report by the U.S. Health Resources and Services Administration. South Carolina’s nursing shortage is expected to top 10,000; it’s one of only four states expected to have that significant a shortage. A collaboration between Clemson and the Greenville Health System is designed to address that shortage. 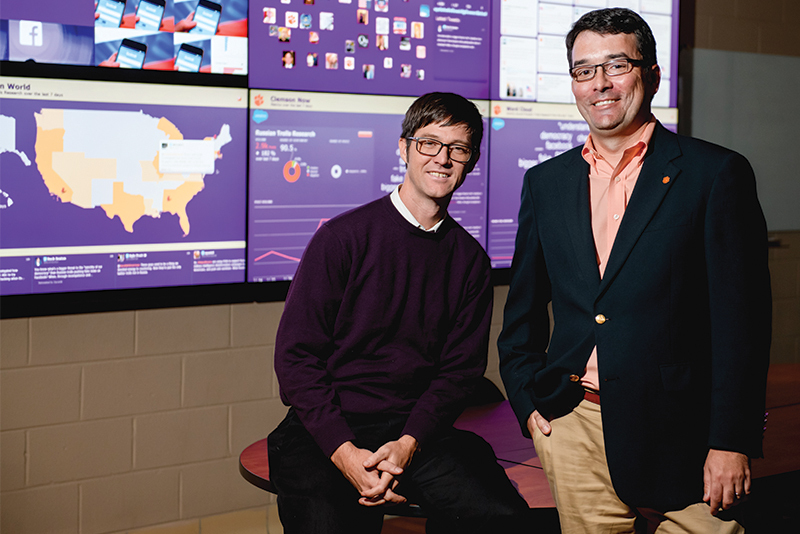 The Clemson University Nursing building, an education and research facility housing an expansion of Clemson’s baccalaureate nursing program at GHS, opened in August. The new building allowed the School of Nursing to increase first-year enrollment from 64 in fall 2015 to 173 in fall 2018. By fall 2021, total enrollment in the baccalaureate program is anticipated to top 700, an increase from 256 in fall 2015. 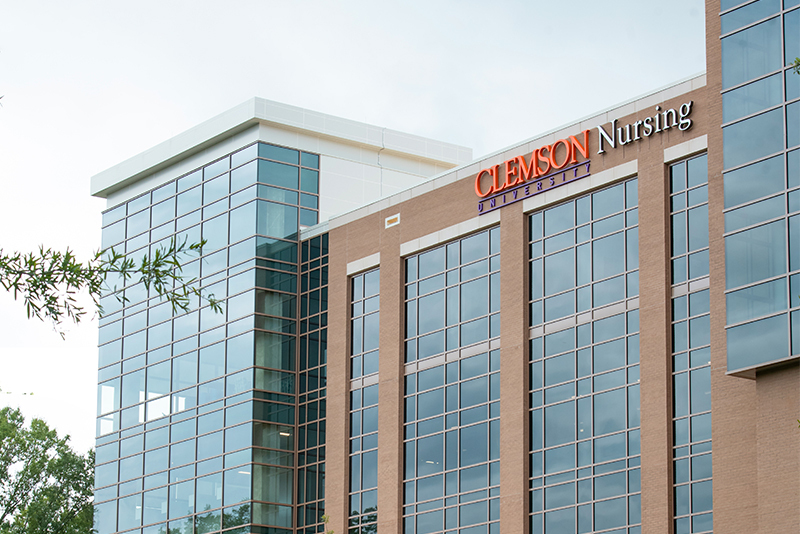 “The collaboration will not only expand our enrollment, but will also integrate teaching and clinical practice in innovative ways that will positively impact nursing education and patient outcomes,” said Kathleen Valentine, director of Clemson’s School of Nursing. 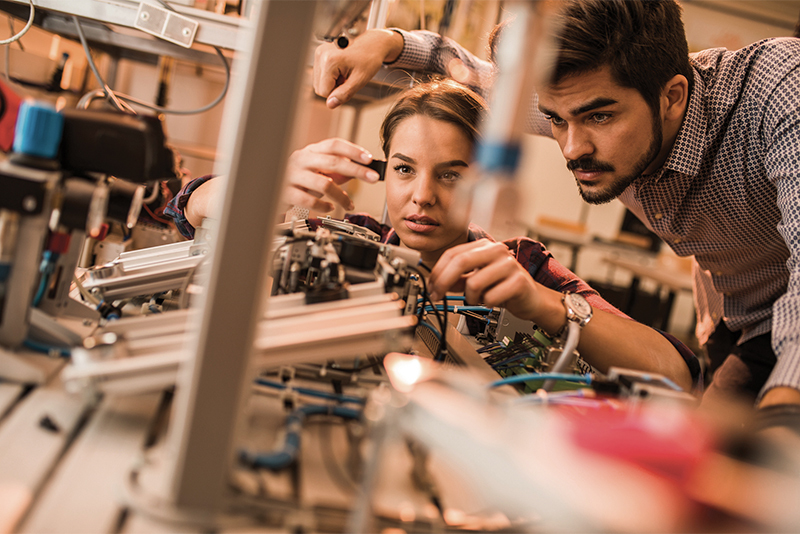 Nursing students will take their general education and nursing foundation courses on Clemson’s main campus during their freshman and sophomore years. After that, they are placed into one of two cohorts: One will take nursing courses in Greenville under the guidance of Clemson faculty and complete clinical rotations across multiple GHS campuses; the other will take junior and senior nursing courses on Clemson’s main campus and complete clinical rotations at health systems across the Upstate, including GHS. Graduate nursing students will have priority clinical rotations within GHS to be prepared to care for rural and vulnerable populations. “This innovative collaboration will help ensure that GHS and the entire region and beyond have high-quality nurses in spite of a nursing shortage,” said GHS President Spence Taylor. 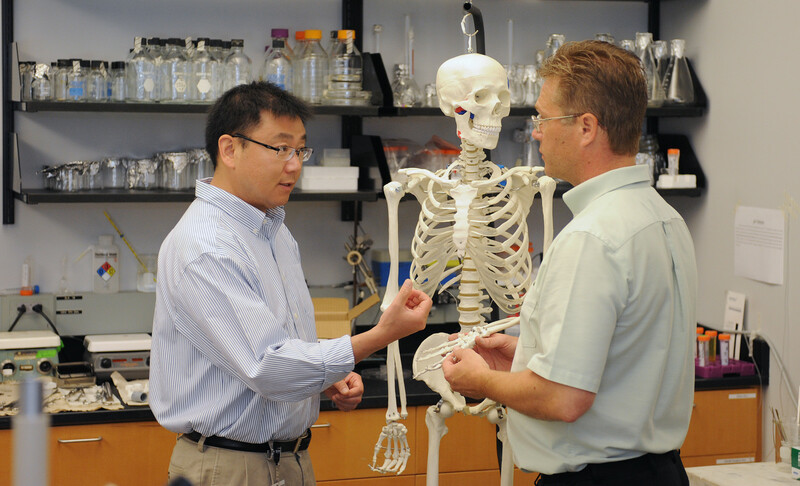 Hai Yao, the Ernest R. Norville Endowed Chair of bioengineering at Clemson University and leader of SC-TRIMH, talks with a student in his lab at MUSC. Disorders affecting bones and joints — including arthritis, osteoporosis and chronic back pain — are a major driver of health care costs around the world. The U.S. Centers for Disease Control and Prevention estimates that by 2040, more than one-quarter of Americans will be diagnosed with arthritis. Clemson is looking to address that problem. 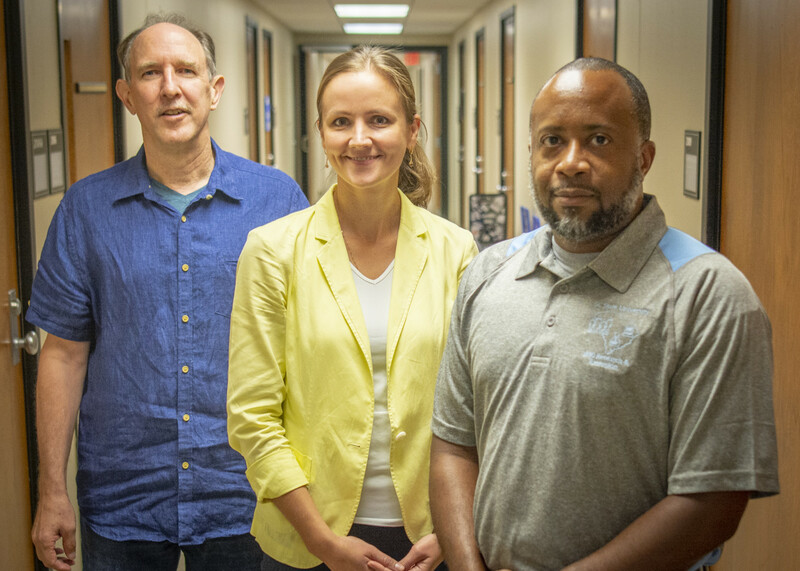 With an $11 million grant from the National Institutes of Health’s Center for Biomedical Research Excellence, the University has launched a new research center that will bring together scientists from across South Carolina to change the way musculoskeletal disorders are diagnosed, treated and studied. Led by bioengineers at Clemson, the South Carolina Center for Translational Research Improving Musculoskeletal Health combines orthopedics and other clinical expertise from the Greenville Health System and the Medical University of South Carolina with computer scientists, computational engineers, biophysicists and other experts to better understand musculoskeletal disorders and to design and evaluate new devices, interventions and drug therapies.